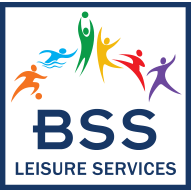 BSS Leisure delivers a range of quality services within the prestigious grounds of Bolton School. We use cookie data to analyse the user journey on our online services. It enables us to remember your actions on the website and preferences over a period of time. We use this data in order to improve your online user experience, and to make our digital services satisfactory. This website uses First & Third Party cookies which operate using the Google Analytics platform.